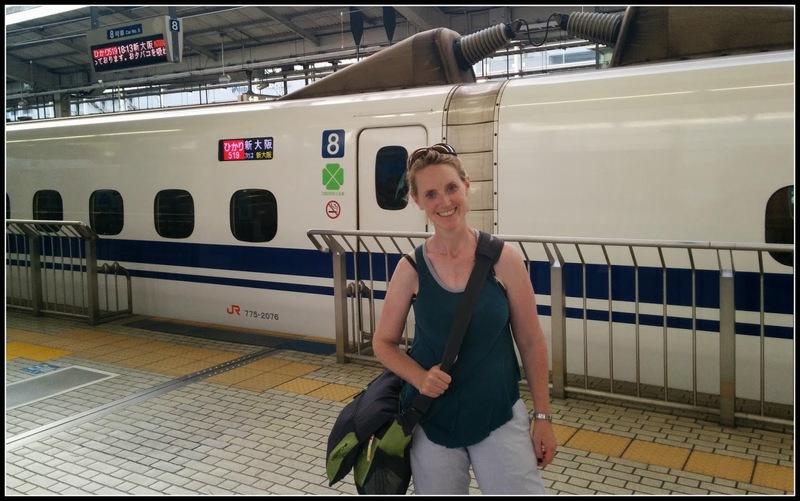 Bullets are my new best friend - a 7 hour train journey from Tokyo to Kyoto took a mere 2 and a half hours on the bullet train. Plus the seats swivel so we were able to face eachother. Thankfully Róisín is no where near her teenhood or I imagine she would have slowly re-swiveled away from us, drowning in her Dr Dre Beats headphones and teenage melodrama. One of my favourite movies growing up was Empire of the Sun and my favourite moment in the movie was when a young Christain Bale is watching the Japanese Kamikaze pilots perform a ritual before taking off, he salutes them and sings the Welsh song Suo Gan. The solemnity of the moment is powerful. Despite pioneering technological change the Japanese revere tradition (even during the inglorious past of war and internment). Kyoto is drenched in tradition, everywhere you look you are tripping over a temple or stumbling into a shrine. Much to my delight real live geishas teeter through the streets en route to entertain business men with tea ceremonies, etc. We stayed in a ryokan (Seikoro ryokan) which is traditional Japanese Inn. 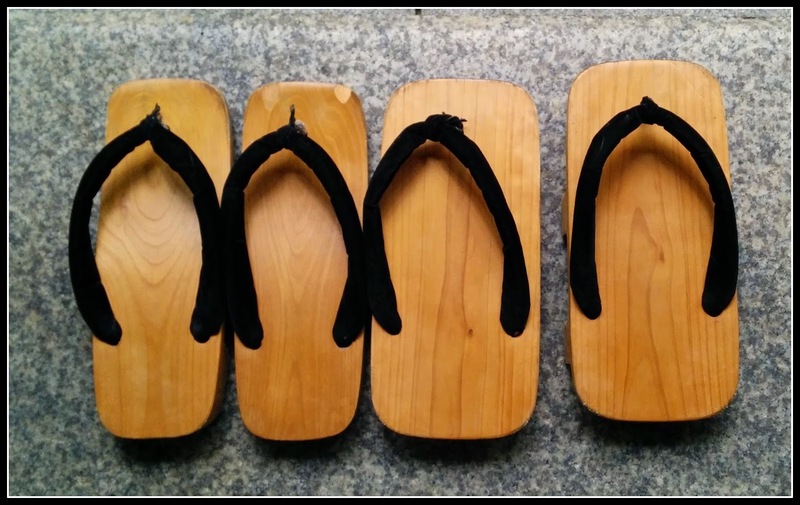 It’s a very homely and quaint experience, sleeping on futons, women running around in kimonos serving you green tea. My favourite part was the soak you take in the Japanese tub. I'm not normally a bath person but this totally changed my mind. The water came out of the tap like pure velvet. It was ridiculously relaxing. Staying in a ryokan is a must to get the full on Japanese experience but it can seem very pricey for what it is. 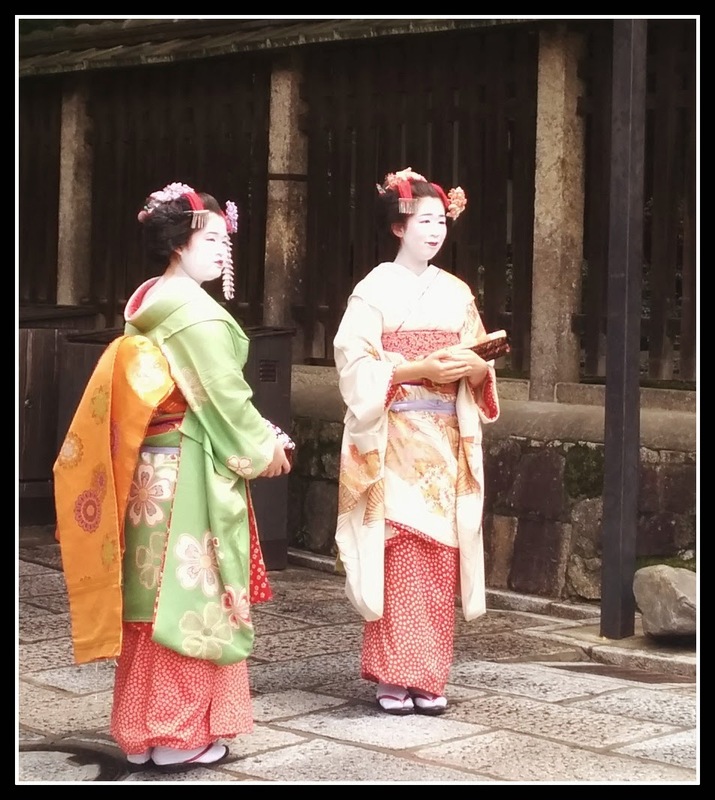 Visiting Kyoto is all about visiting the temples, shrines, and having a general wander. 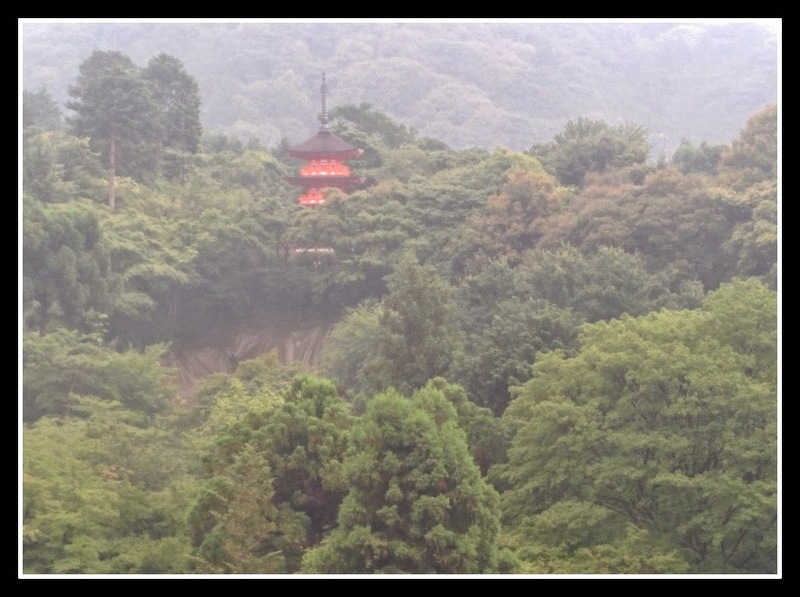 The most visited temple is Kiyomizu-dera. Mind blowing movie magic views but be warned it is packed with tourists. The best shrine, in my opinion, is the Yaska-jinja and it’s conveniently located at the end of a popular street. We went at night and loved the spooky century old atmosphere - eerie altars, flickering lanterns, and smoky dusk. 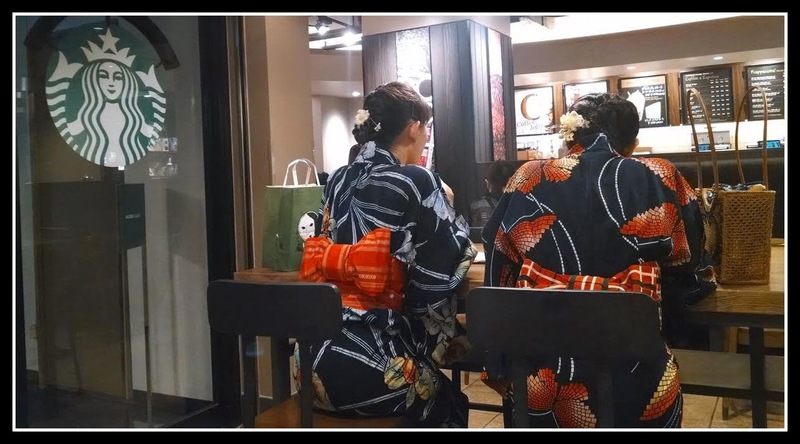 "Two little maids from school are we"
The best street to geisha spot is Shinbashi Dori in the Gion district. The old buildings with the bamboo curtains have been preserved by the government. It faces on to a picturesque canal. Apparently, when the cherry blossoms are in season it is the most spectacular street in the entire world. I was suitably impressed with it sans blossoms! Kyoto panders less to the English speaking tourist so be prepared. Even the places billed as "tourist information" gave me maps in Japanese. The Japanese are incredibly helpful but almost to the point of confusion. On a few occasions I was sent in the wrong direction or told the incorrect info but all done with beautiful smiles and obvious intended kindness. I keep saying this but I can’t say it enough, the Japanese are lovely lovely people. They honestly couldn’t do more for you. Such sincere friendliness and a genuine urge to help at all times. We did have a ‘uh oh’ moment at the airport when they wanted to know what was inside the long package I clumsily held under my arm. “This old thing, oh it’s just a Samuri sword”. Dom was then marched away with two men and said package for a special customs examination. The package was taken apart and the sword put through it’s paces, all Dom would tell me was that they ‘tested’ it, I like to think they weren’t checking for blunt edges and legal metals but instead were all taking it in turns to strike Ninja poses and re-enact scenes from Kill Bill.